That popular card plot One-Eyed Jack Sandwich is given a new lease of life here, with the assisting spectator being asked where the magic is to take place – within the deck or out of it. Themed after a 1930’s classic The Charmed Watch, this smooth handling is sure to delight the most fastidious card man. 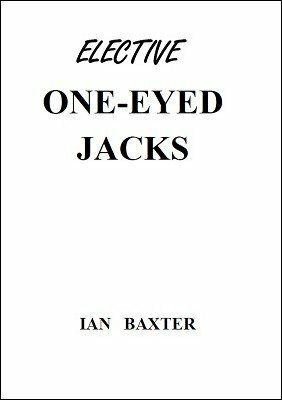 The One-Eyed Jack Sandwich theme was popularized by Harry Lorayne. However, it was none other than the Australian Charles Wicks who started the ball rolling, with his contribution The Charmed Watch appearing in The Magic Wand journal over eighty years ago. Ian's streamlined version keeps within the guidelines of a totally impromptu approach, observing the need to avoid difficult moves and eliminating superfluous handling.